“We have to find a way to make our voices heard. We have to let legislators know that we are not going to sit idly by” as corporations completely take over public schools, say Bess Altwerger of Save Our Schools. “No one is asking young people what they want in their schools and what they miss do to high-stakes testing” and other corporate reforms. The Campaign for Artful Resistance asks students and other community members to consider what has been lost in their schools and to express their responses through art…. beginning a movement to make the voice of the people more audible/visible/etc. We Act Radio and Education Town Hall are organizing locally in the Campaign for Artful Resistance. Please let us know how you’d like to be involved. Full recording: June 13 edition. Listen — then DO SOMETHING! Bess Altwerger is professor of education and author of Reading for Profit: How the Bottom Line Leaves Kids Behind. She is on the Steering Committee for SOS and helping to launch the Campaign for Artful Resistance.Events around the country are planned for September 2013. A National Gallery of Artful Resistance is in the works. Morna McDermott is a teacher educator and blogger at http://www.educationalchemy.com. She is part of the SOS Steering Committee and Campaign for Artful Resistance. In addition, McDermott is administrator for United Opt Out: Ending Corporate Reform of Public Education.” This group started a little over two years ago and now includes parents, educators, administrators and others concerned about the effect of high-stakes testing on education. Disrupting testing and data is one way to get to the “belly of the beast” of corporate education reform, McDermott says. United Opt Out is a few weeks away from launching a state-by-state guide. Visit their website to learn more and check back for more on The Education Town Hall. 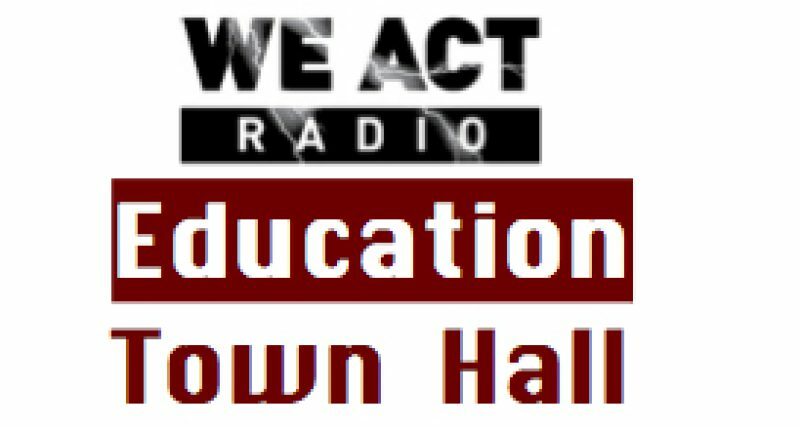 The Education Town Hall is broadcast Thursdays at 11 a.m. (Eastern) on We Act Radio (WPWC 1480 AM in DC, We Act Radio). Full recordings are archived for later discussion and sharing.